There’s an old Chinese Proverb that describes the Great Wall so perfectly. “Only those that have travelled the road know where the holes are deep”. I knew as soon as saw the Great Wall of China that I had sincerely underestimated its gritty beauty and vast size. It’s an easy thing to do when most of the photographs we see are merely snippets of reconstructed wall, conveniently paved and opened to the public. The other 21,000 or so kilometres, much less often feel the weight of eager walking boots on them. That’s not because these less notable parts of the wall or ugly or unsafe. Far from it. Trust me. The majority of China’s most famous UNESCO World Heritage Site was constructed thousands of years ago, way back in the Ming Dynasty. Even earlier than that, smaller parts of the wall were already being constructed. So, it’s fair to say, the wall is incredibly old. Meaning that many parts have undergone reconstruction and even to this day, parts are missing, and stretches are still being uncovered. ‘Earth Dragon’- I love this less conventional name for the wall. It was only after hiking on the Great Wall did I come to realise where this informal name came from. It’s easy to compare its stature to that of a dragon lying down and sleeping. Her lumps, bumps and ragged inclines create quite the impressive silhouette. 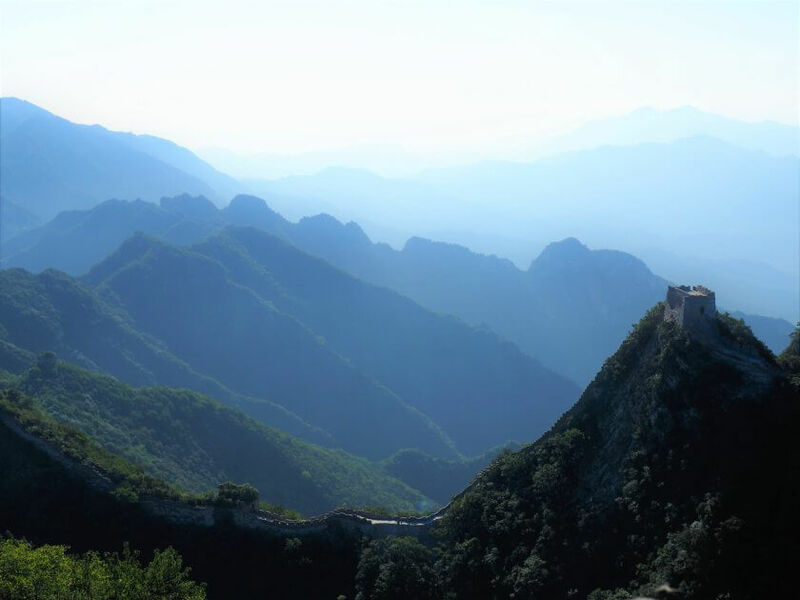 In fact, until you see the Great Wall of China with your own eyes, feel the ancient bricks and stones under your feet and sit in the grand watch towers amongst the mountains, it is hard to fully appreciate the raw beauty and mystical atmosphere that this truly magical place on earth has to offer. 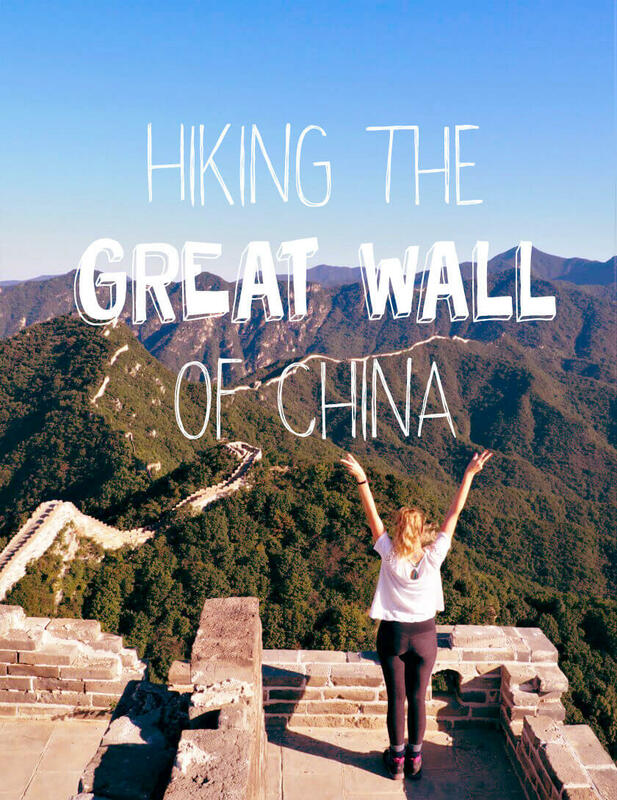 No visit to China is complete without donning your hiking gear and setting off on a magical adventure to (at least) these 3 crazily captivating parts of the greatest wall on the planet. 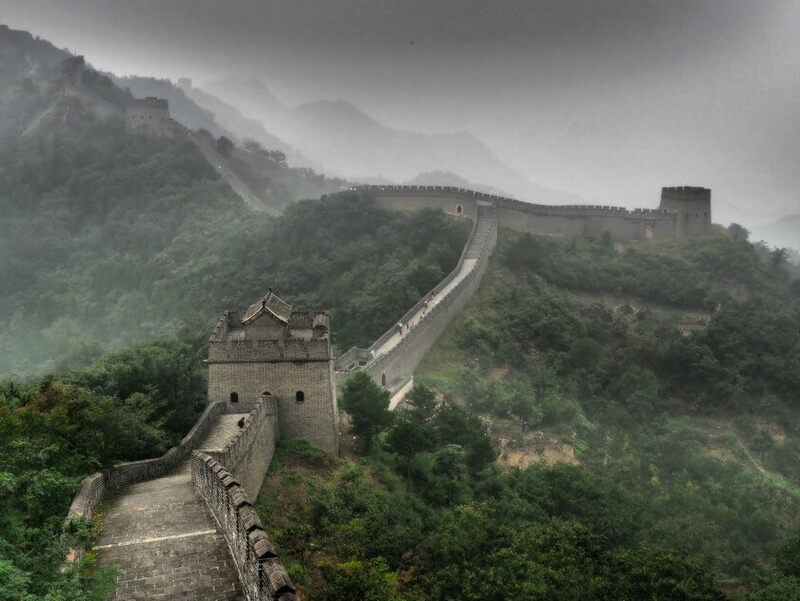 Conveniently located 70 kms East of Beijing makes this section of the wall probably the most visited. It is well set up with snack stops and drink stations. There is even a chairlift to get up or a toboggan to get down. It is well paved and a good stretch of it is extremely safe. Mutianyu is littered with beautiful restored watch towers, 22 across about 2000 meters. The frequent watch towers make for easier walking and plenty of shade. Just because Mutianyu attracts a lot of visitors, does not make it any less gorgeous. 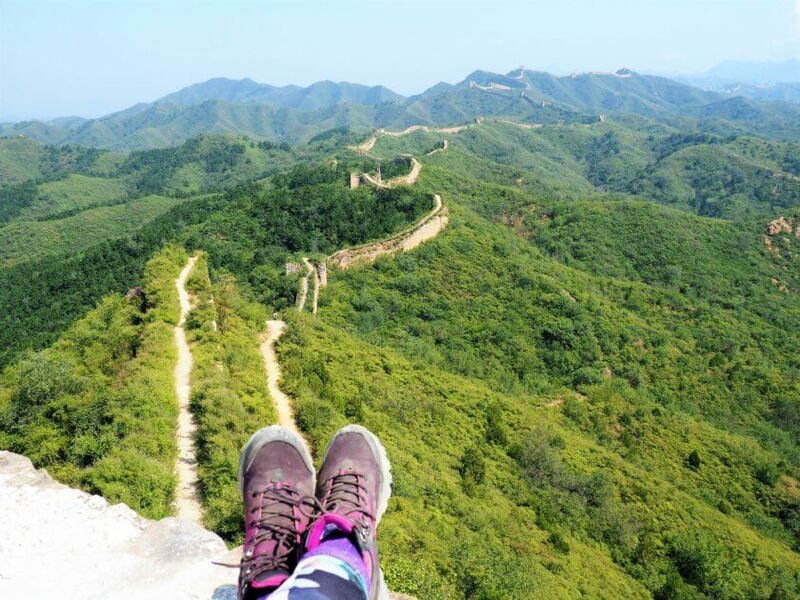 For me, Mutianyu is a great part of the wall to break in your walking boots, stretch your legs and start to get a real feel for the Great Wall. 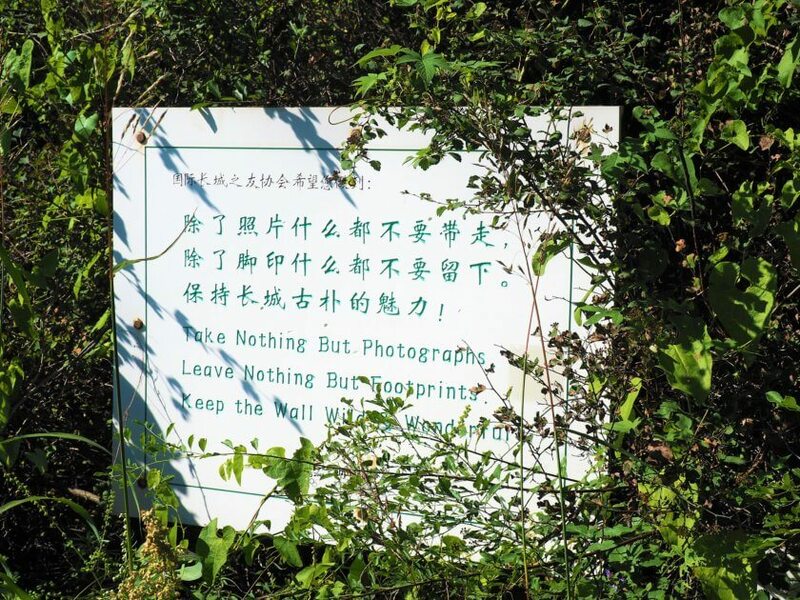 The most exciting thing about the Mutianyu section is beyond the 20th watch tower. You see, if you fancy a little adventure then I assure you of the reward. Hop over the wall at watch tower 20, where you will see a sign claiming the highest point of Mutianyu and be prepared for a challenge. It’s not an easy stroll. The wall is not restored from here onwards and is often steep and slightly dangerous. Be prepared for several hours of hiking on wall like this. Revel in peace, serenity, wild flowers and butterflies. I hiked the Great Wall at the end of summer, going into autumn. The mornings were crisp and cool, and the middays warm, but not too warm. The skies were clear and in fact, this day was so clear that I could see the Beijing sky line from the highest watch tower. The views of the wall meandering off as far as the eye can see are enough to take your breath away. You can see the highest watch tower as soon as you pass number 20, so you’ll know where you’re heading. Just remember you need to turn around and go back! 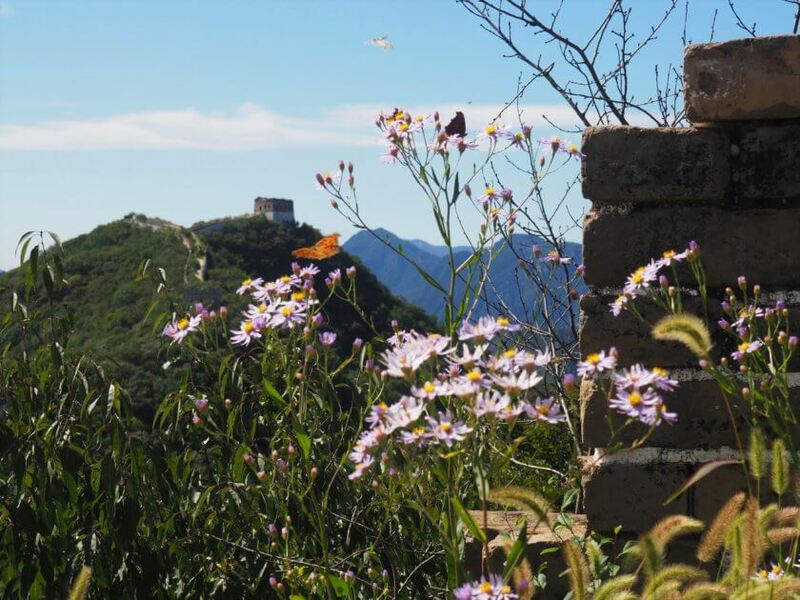 Starting 73kms North of Beijing, and having never undergone reconstruction, Jiankou offers a really authentic feel and the opportunity to fully absorb the Great Wall’s powerful and mystical magnetism. Much more suited to experienced hikers, Jiankou is rough and ready. It crumbles if you step on it too heavily and, in all seriousness, parts are extremely dangerous. But it’s worth every single wobbly step to be up in the rolling Chinese country side, off the beaten path and to be fully immersed in some great history and views I have never seen anything like. Jiankou is the perfect spot to watch sunrise. It can be a little treacherous getting up there in the dark, so make sure you’re well equipped with flashlights and you know where you’re going. Sunrise on the wall was one of the most magical moments up there for me. There is nothing that emphasizes that mysterious, enchanting atmosphere like a cold and hazy morning spent watching the sun creep up. I love the way that the fog and the haze hang so low all around the wall at that time of the morning. It’s something I’m sure you can only experience on the Great Wall. And trust me, you don’t only see it, you feel it too. This part of the wall stretches pretty far, about 40 kms. The crumbing watch towers are full of character and really resemble the tough history and colourful past that makes the Great Wall so individual. Interestingly it’s also the spot of a three-story watch tower, the only three-story watch tower I saw during my hikes. This part of the wall is probably the most interesting historically. 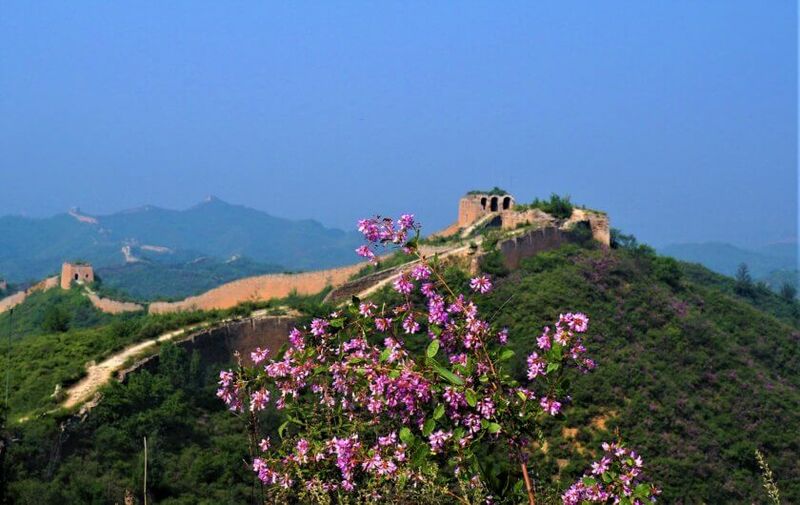 Gubeikou translates to ‘ancient northern pass’ and it has been the site of over 100 battles throughout history. It still borders onto a military only zone that you won’t be able to hike into. My favourite part of this section is nestled upon Wohu mountain. ‘Crouching tiger’- so aptly named, is one for seasoned hikers. 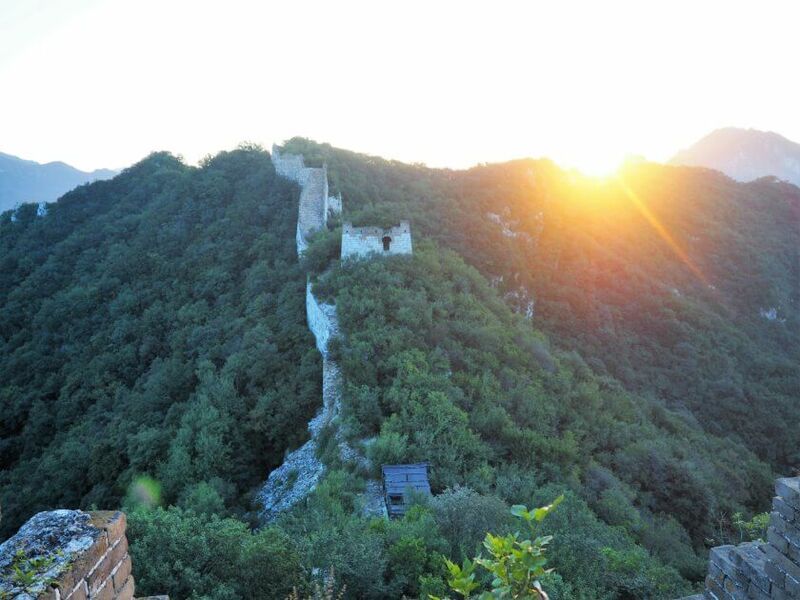 Nestled amongst the Chinese mountains, this part of the wall is rarely visited, and even more rarely is it climbed! I loved its wild energy and rugged appearance. So authentic, grand and full of history and stories. It remains truly in its original state and, chances are, you’ll be the only one there climbing to the top for views across stunning mountains and countryside. This part of the wall has got to be the most architecturally impressive. Its two sister towers soaring towards the sky, overlooking a huge, plunging valley. It’s a beautiful spot with fantastic views but the climb is tough and there’s a lot of loose stone underfoot. This part of the wall actually forms part of a longer stretch. None of it has undergone any reconstruction and it makes for an unforgettable hike. Whether you choose to hike it all, or just one special section, China’s iconic landmark is sure to fill you with fairy-tale feelings and mystical style memories. Just mind the thunderstorms!